A measles vaccination can be life-saving. Though measles is not all that common, outbreaks can occur and when they do, it is important your child is vaccinated. Recently, measles broke out in New York amongst unvaccinated children. Measles was once a common part of growing up as a child and most children were able to recover without any trouble. Unfortunately for some children, there were more serious consequences such as pneumonia, encephalitis and even death in some cases. The measles vaccine has been widely successful in controlling outbreaks and protecting children from the disease. The vaccine is a very safe vaccination for your child to receive twice in their life, once around the age of one and again around five years old, which is the recommended time period that children should receive the MMR (measles, mumps, rubella) vaccine according to the American Academy of Pediatrics and the Centers for Disease Control and Prevention. Though no vaccine has a 100% prevention rate, after receiving the second recommended dose, the protection rate jumps to 95%. 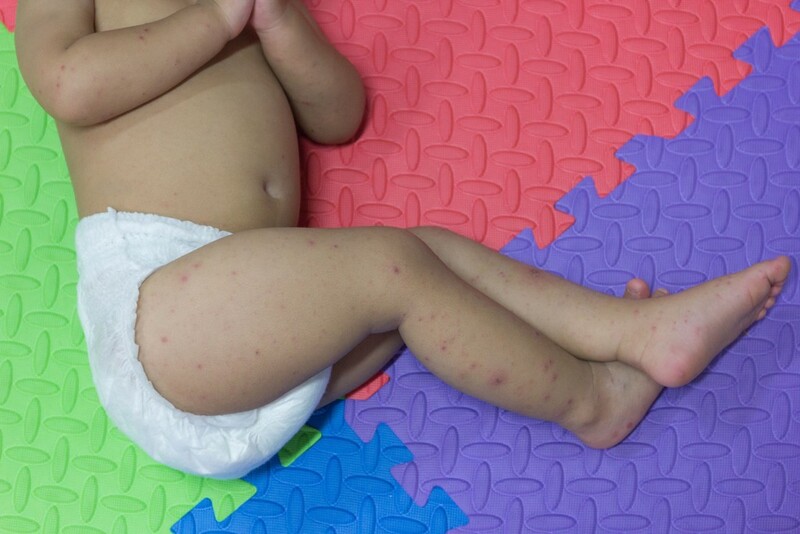 The measles disease is a virus that is easily spread by air. It can take a simple sneeze or cough by an infected person for it to travel and infect another person. A healthy individual having direct contact with fluids from the mouth and nose of an infected person is another way for the virus to be transmitted. With the recent backlash of parents not supporting vaccinations for their kids, measles outbreaks are becoming all too frequent. The more unvaccinated individuals there are, the greater the risk of a measles outbreak. Though measles is not as widespread as it once was, it is still a problem in many countries abroad. With that in mind, the measles virus can be brought to the U.S. at any time through traveling and flying. For infants under twelve months and other individuals who are medically unable to receive the MMR vaccination, they are at a greater risk of becoming exposed and infected. This entry was posted in Child Safety and Prevention, Healthy Habits, Illnesses and Conditions. Bookmark the permalink.